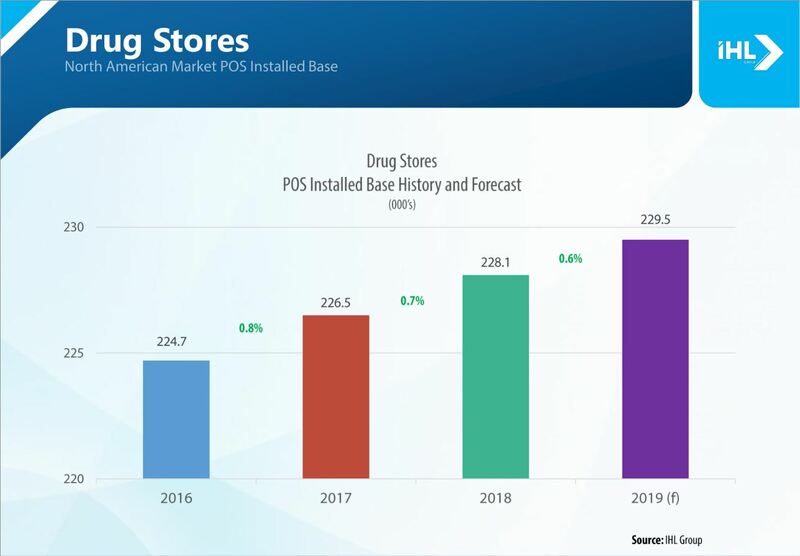 Three years after the press was announcing the demise of the Retail POS Terminal market in North America, Point-of-Sale technology is anything but dead. 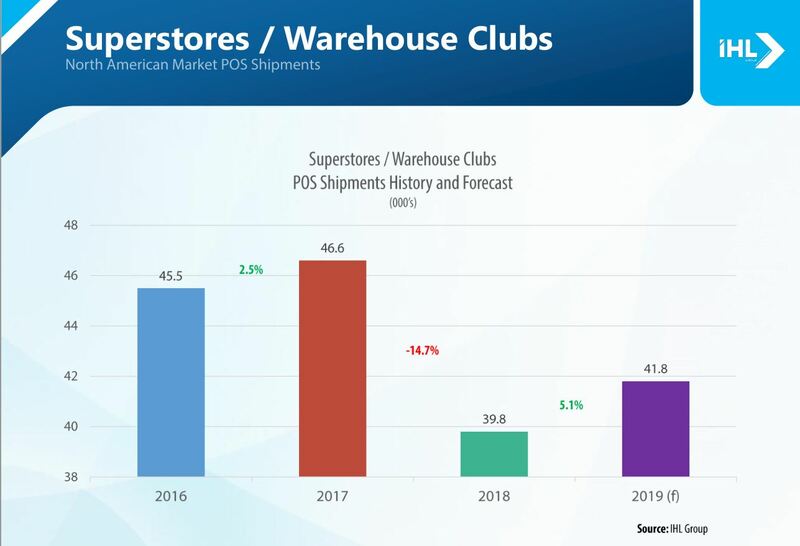 POS shipments have actually grown at significant rates rather than declining. 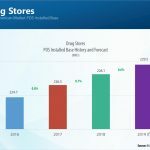 There are some key trends related to Unified Commerce that are making the refresh of traditional POS technology even more important than previous years. 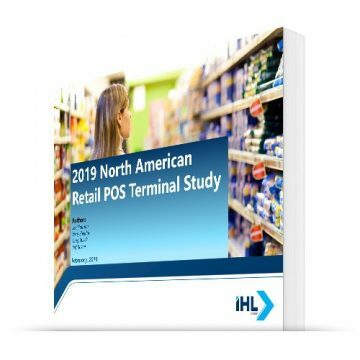 This 64 page study focuses on the Retail POS market in North America for 2018-2023. 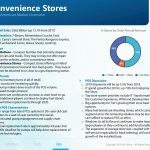 It includes shipment, installed base and trends analyses of POS devices. 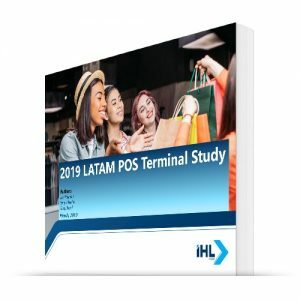 The report is designed for use by POS Hardware and Software Providers, Maintenance Providers, Printer Manufacturers, EFT device vendors, Retailers and others who might have a vested interest in the North American Point-of-Sale Market. Additionally, the report covers emerging trends and influences that affected the market in 2014 and those that will help form market decisions in the future. It also includes estimated market value for shipments and installed base and a forecast for shipments and installed base through 2018. For an outline and sample pages, see the Preview tab. As we have for the past few years, we also include complete hospitality segments as part of the report. Specialty Other (mall and strip-mall based Specialty Stores, predominantly apparel, shoes and gifts). What do you define as POS? At IHL we believe it is important that we state clearly the definitions of what we are classifying as a POS device. For the purposes of our analysis, we are defining POS as PC-based workstations, namely PC-class Processor-based and LAN-available terminals. Although others might include Electronic Funds Terminals as POS, we do not include them here. In our research, we do include PC on Cash Drawer Devices (PCOCD), however, we do not attempt to distinguish between vendors unless a particular market is affected significantly. We do not include Electronic Cash Registers (ECR’s) in our study. Although the lines have blurred as to POS and ECR in terms of processors and connectivity, we believe there is a clear distinction in functionality, expandability, and serviceability between the devices. What segments are included in the study? For the purposes of this report we do not count units that are in labs; we only count those in pilot or in rollout. Can I share this study in my company? Yes, each of research products come with an enterprise license so it is free for anyone internal to your organization. See below for more. Can I share this study with partners and clients? Not in entirety unless you have negotiated a distribution license with IHL. Basically we don’t want the study going to partners and clients who should otherwise purchase a license. This is what we do for a living, and if people violate this we can no longer do the research. Contact us at ihl(at)ihlservices.com with any questions. Can I quote this study in my presentations and press releases? In most cases this is fine but we ask that you run it by us first at ihl(at)ihlservices.com. Typically things shared in percentages (ie. this is 20% increase) then that is fine. Items in raw $$$ or units typically we will not allow to share. But we can work with you on this. We realize that you buy the research to use, so we can usually find a nice compromise that protects our IP and meets your needs. Was this a survey or a paper? A little of both. When it comes to this sort of impact study it is part art and science. We have several primary research studies behind the numbers. These are then extrapolated across segments and markets to provide overall sizing. We run this by key clients and other analysts for their insight and view as well before we release. 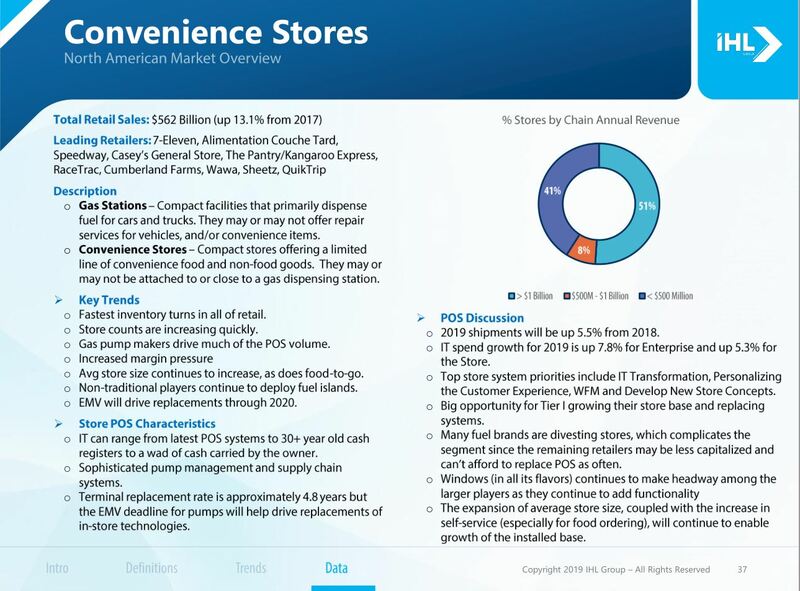 So the cornerstone is detailed primary research data with CIOs meshed with numerous analysts with over 100 combined years of retail sizing experience to build the models. Is more detail available beyond what is in the study? Can I get access to the analysts who wrote or partnered in the study? Yes, one of the core differentiators of IHL Research Studies is that included in part of the price is up to 1 hour with the analyst to ask follow-up questions or dig further into any assumptions. This does not extend to getting more data, just better insight into how we arrived at the data and came to the conclusions from that data. Single User License – a lower priced license that is designed for use for a single user, not to be shared internal with other users or externally to partner, customers or other parties. Enterprise License – a license that allows for the research to be accessed and shared internally with anyone else within the organization and wholly owned subsidiaries. All of IHL Group’s generally available research are electronic licenses and are limited by the license type chosen for purchase. For Single User Licenses this means that the person buying the research is the only person to use the research. For Enterprise Licenses, these can be shared freely within the company. We only ask that this information not be shared with partners or others outside the purchasing company without authorization from IHL Group. The license does not extend to joint ventures or other partnerships. If the relationship is not a wholly-owned subsidiary, then both parties would need a license. The purchasing company can use the data and research worldwide internally as long as the international organizations are wholly owned subsidiaries of the purchasing company. The data or any research cannot be distributed in whole or in part to partners or customers without express written approval from IHL Group. 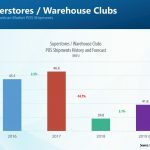 The purchasing company may quote components of the data (limited use) in presentations to customers such as specific charts. This is limited to percentage components, not individual unit information. Unit data cannot be shared externally without express written approval from IHL Group. All references to the data in presentations should include credit to IHL Group for the data. The purchasing company can reference qualitative quotes in printed material with written approval from IHL Group. All requests requiring written approval should be submitted to ihl(at)ihlservices.com and will be reviewed within one business day. For Distributed Licenses, if applicable, the research can be shared with prospective customers and potential institutional investors. It cannot be shared with partners or other vendors who should be purchasing their own licenses. For any questions regarding this policy, please contact us at 1-888-IHL-6777 (North America) +1.615.591.2955 (International) or email us at ihl(at)ihlservices.com. All of IHL Group’s generally available research subscriptions are electronic licenses and can be shared freely within the purchasing organization and wholly owned subsidiaries. We only ask that this information not be shared with partners or others outside the purchasing company without authorization from IHL Group. The license does not extend to joint ventures or other partnerships. If the relationship is not a wholly-owned subsidiary, then both parties would need a license.